These services are broadly divided into three categories: Infrastructure-as-a-Service (IaaS), Platform-as-a-Service (PaaS) and Software-as-a-Service (SaaS). 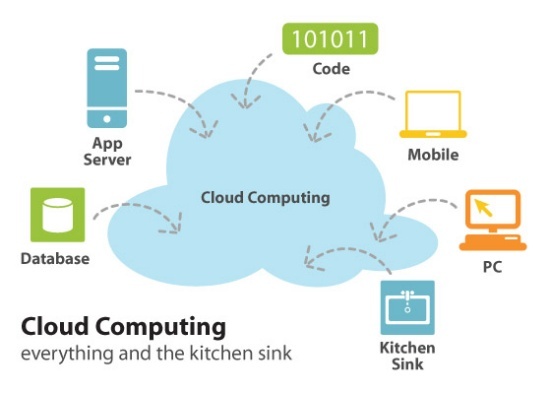 The name cloud computing was inspired by the cloud symbol that's often used to represent the Internet in flow charts and diagrams. A cloud service has three distinct characteristics that differentiate it from traditional hosting. It is sold on demand, typically by the minute or the hour; it is elastic -- a user can have as much or as little of a service as they want at any given time; and the service is fully managed by the provider (the consumer needs nothing but a personal computer and Internet access). 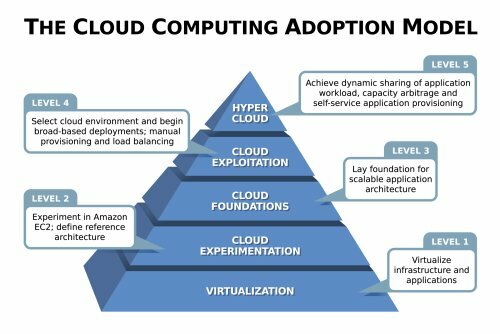 Significant innovations in virtualization and distributed computing, as well as improved access to high-speed Internet and a weak economy, have accelerated interest in cloud computing. Infrastructure-as-a-Service like Amazon Web Services provides virtual server instanceAPI) to start, stop, access and configure their virtual servers and storage. 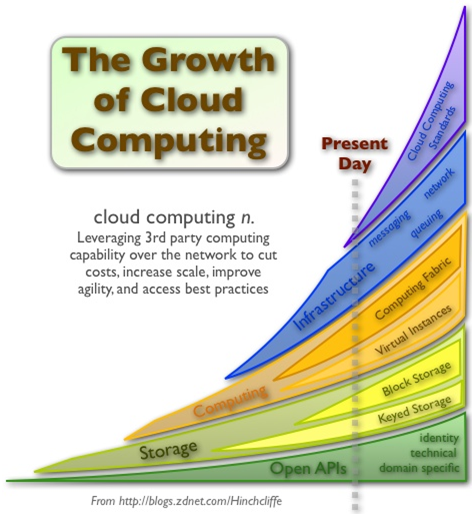 In the enterprise, cloud computing allows a company to pay for only as much capacity as is needed, and bring more online as soon as required. 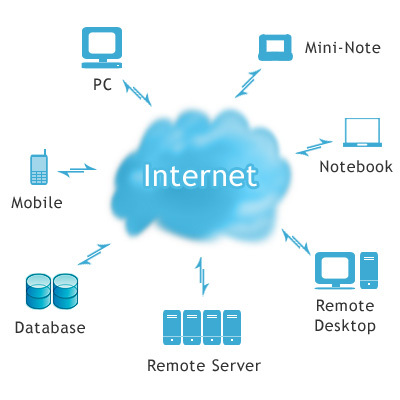 Because this pay-for-what-you-use model resembles the way electricity, fuel and water are consumed, it's sometimes referred to as utility computing. 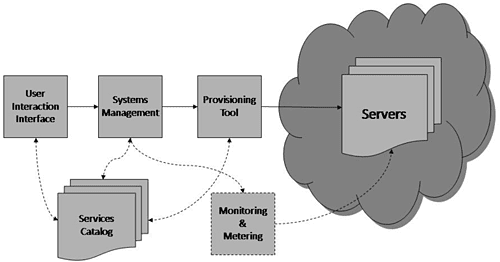 Platform-as-a-service in the cloud is defined as a set of software and product development tools hosted on the provider's infrastructure. 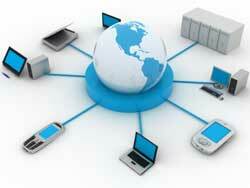 Developers create applications on the provider's platform over the Internet. 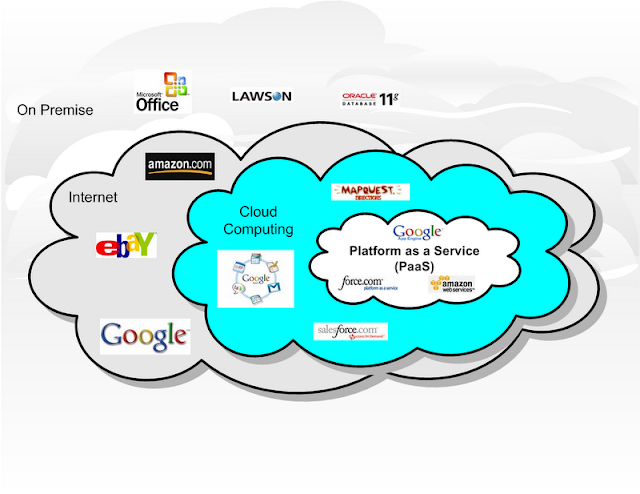 PaaS providers may use APIs, website portals or gateway software installed on the customer's computer. 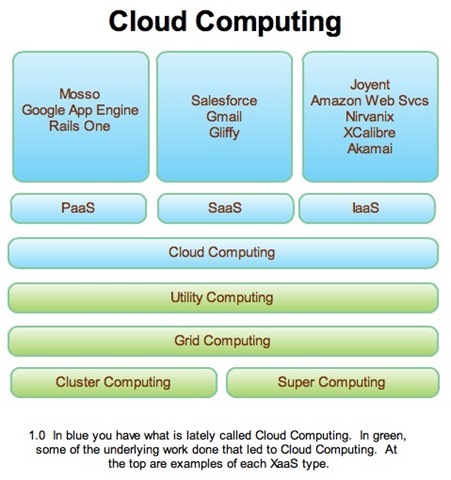 Force.com, (an outgrowth of Salesforce.com) and GoogleApps are examples of PaaS. Developers need to know that currently, there are not standards for interoperability or data portability in the cloud. Some providers will not allow software created by their customers to be moved off the provider's platform.